Just in time for summer! 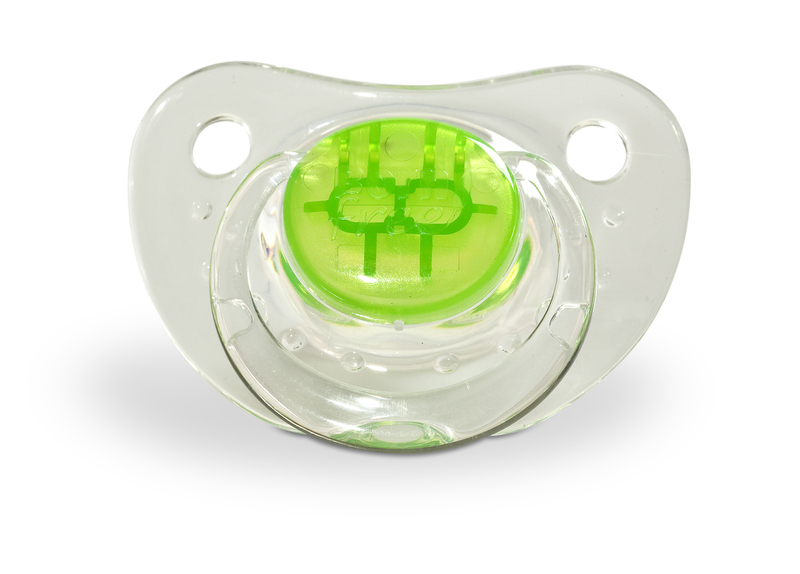 BornFree® introduces its’ newest pacifier, a BPA-free Clear Pacifier, to help the tiniest of tots beat the heat!Were you aware that the dry summer heat can often irritate the delicate skin around baby’s mouth as teeth and gums develop? BornFree®’s New Clear Pacifier addresses this issue by increasing the air circulation around the mouth area. It features a flat security ring handle for easy removal, as well. To learn more about the dangers of Bisphenol-A (BPA), please click here. This latest addition to the innovative BornFree® line is available in 4 bright colors, making it easier to spot when dropped! (which, as parents know, can be often) The Clear Pacifier comes in two stages, for children 0-6 months and 6+ months of age. 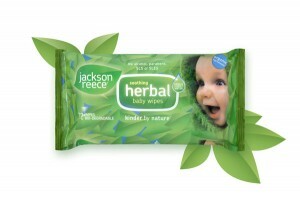 To find a retailer near you or to order online, visit www.newbornfree.com. Another deliciously simple recipe from Gourmet Meals in Crappy Little Kitchens by Jennifer Schaertl. These little fritters go perfectly with Holy Moly Chicken Pasole! Remember, you can use organic ingredients in place of anything you see below. Preheat your oven to 500°. Combine flour, baking powder, and salt in large bowl. Add the eggs, milk, corn and melted butter and fold until completely moistened. Don’t worry, it’s supposed to be lumpy! Place a large sauté pan over a medium heat. Add just enough melted butter to cover the bottom of the pan, and drop corn batter by tablespoon full into the hot butter. Fry until brown on both sides, and transfer to a baking sheet to bake at 500° for 5 minutes once all the fritters have been fried. Cool slightly before serving. *Image and recipe provided by Jennifer Schaertl, author of Gourmet Meals in Crappy Little Kitchens (HCI Books). To order, visit www.CrappyLittleKitchens.com. http://tinygreenmom.com/wp-content/uploads/2018/07/logo-sm.png 0 0 Tiny Green Mom http://tinygreenmom.com/wp-content/uploads/2018/07/logo-sm.png Tiny Green Mom2010-06-30 08:00:452010-06-29 15:31:51Recipe of the Day! Head on over to Burt’s Bees! 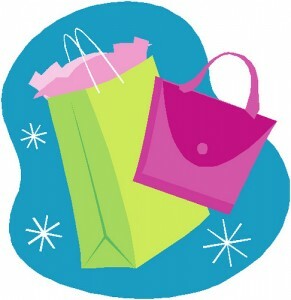 They are offering a Premium Grab Bag worth $50 in product value for only $24.99! What’s inside? A variety of 14 pint-size products and 5 full-size items are shipped to you – everything from face cream, hand cream, facial cleanser, body lotion, lip gloss, lip shimmer, lip balm and more! In addition, 5 special gifts come with the Premium Grab Bag. To learn more, visit BurtsBees.com. If you like Chicken Tortilla Soup, you will adore this gourmet version, called Holy Moly Chicken Pasole, by Jennifer Schaertl, author of Gourmet Meals in Crappy Little Kitchens! 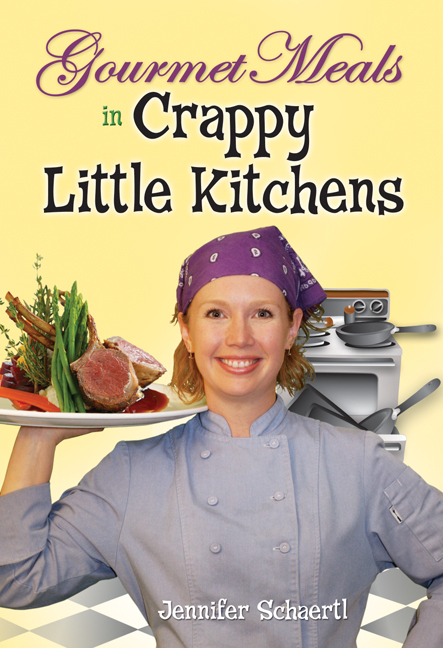 This sharp-witted chef puts together amazing meals that can be made in virtually any kitchen! In a large stock pot over a medium-high heat, bring the shredded chicken, stock, onion, garlic, bell pepper, and celery to a gentle simmer. Once simmering, add all of the other ingredients except for salt, pepper, and cilantro. Once the tortilla has begun to break down and thicken the stew (about 30 minutes), season to your tastes with salt and pepper. Garnish with the chopped cilantro. http://tinygreenmom.com/wp-content/uploads/2018/07/logo-sm.png 0 0 Tiny Green Mom http://tinygreenmom.com/wp-content/uploads/2018/07/logo-sm.png Tiny Green Mom2010-06-29 08:00:532010-06-28 13:11:49Recipe of the Day! I’m constantly jealous of the joy that kids get from playing. They run, they jump, they climb, they swing – all for fun. If I went through that same regimen that would be a major workout. When does play become work? Often as kids get deeper into school, and recess turns to PE (read: work). People have a tendency to resent what’s mandated, and it’s the same for kids and fitness; once we tell them they must play they don’t want to any more. I know there’s a lot to be said about keeping kids to the commitments that they make, but if they hate soccer after a season then keep looking. Maybe it will be rock climbing or rugby (two of my personal favorites). Make sure that you keep your mind open, because fitness may come in an unorthodox package: I’ve worked with kids whose primary fitness outlet is paintball. It’s becoming more common for parents to push their kids into more and more activities, and that’s awesome. It becomes a problem when that pressure becomes a burden, and you turn from parent to coach. Not only does that create resentment it makes the game less enjoyable because of the pressure to perform. Oh and as a side note, don’t push your kids to lose weight, that kind of encouragement can cause lifelong eating disorders. Find that delicate balance between being overly involved and supportive. This is mot important in the early stages of the transition from recess to PE, which means you’re going to be learning a lot of different games – Especially if you follow rule #1. Some of the most successful, fit, and happy young athletes I’ve worked with have parents who are at as many games as possible cheering their hearts out. The most important thing that you can do for your kids’ health and fitness is to help them keep their love of movement. Once they stop liking what they’re doing it’s an uphill battle. P.S. Turn off the video games, ok? This article was written expressly for Tiny Green Mom by Kian, an A.C.E. certified Personal Trainer and STOTT Trained Pilates instructor, who is finishing his masters in Kinesiology. He made his transition from “fat kid” to fitness professional, and it’s his passion to help as many people as possible reach their fitness goals. Kian has worked with Middle school and High school athletes as an assistant strength and conditioning coach. He is currently the owner of Ameli Training in Concord CA, and runs a health and fitness blog at www.amelitraining.com. Inspired by “Mom‘s” friend, Jeanie, this delicious sauce is best served over steamed brown rice, topped with pinto beans or black beans, freshly steamed broccoli and corn. (“Mom” prefers a combination of beans!) Extremely versatile – it also makes a wonderful dip for veggies or it can be used as a protein-packed spread for wraps or other sandwiches. 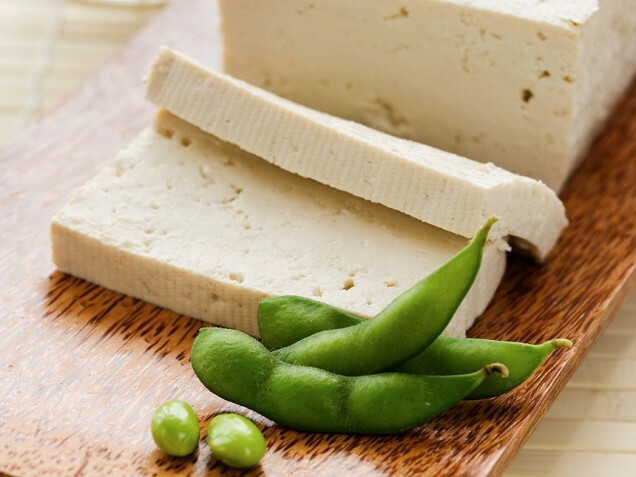 In blender, blend water, oil and sliced tofu until smooth and creamy. Monitor consistency and add more water or oil, as needed. Add the rest of the ingredients until well blended. Can be kept in the refrigerator for up to 3 days. Makes approximately 2 – 2 1/2 cups. Serve over steamed rice, beans and veggies – enjoy! http://tinygreenmom.com/wp-content/uploads/2018/07/logo-sm.png 0 0 Tiny Green Mom http://tinygreenmom.com/wp-content/uploads/2018/07/logo-sm.png Tiny Green Mom2010-06-28 09:00:472010-07-04 08:10:08Recipe of the Day! 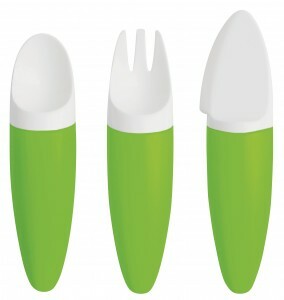 Fabrikators “Toddler” Cutlery has made its’ debut state-side this summer! This innovative cutlery set is designed specifically for toddlers, ergonomically shaped for the way that children at this stage in their growth and development grasp objects. The rounded, chunky shape fills your little ones’ entire hand, making it easy to hold on to as food is eaten with the spoon or fork, or sliced with the kid-friendly knife. As your child mimics your actions while eating, the Toddler set enables him or her to feel confident as a new skill is learned. Recommended for ages 6 months – 2 years, Fabrikators “Toddler” Cutlery is available in 4 bright, cheerful colors (Green, Pink, Blue, and Orange) and is both microwave and dishwasher-safe. In addition, the flatware set is BPA-Free, PVC-Free, and Phthalate-Free. For more information on this functional set from Denmark, please visit FabrikatorsUSA.com. Most summer day trips involve some event in the city, but they don’t have to. Whether you want to do something within a day’s drive from home, or are on a vacation adventure and want to squeeze in a day adventure close to your Utah Resort, there are a variety of ways to make the most of your outing and still keep it green. Biking. An eco-friendly favorite, biking doesn’t use any fuel, emit any nasty gases (unless you had too many beans for dinner), and allows you to experience clean air blowing your curly locks. Biking can be done from literally anywhere. More and more cities are adding greenbelts to their city surroundings, and more “off-road” trails are being maintained in nature areas all over the country for all skill levels. Hiking. There’s nothing like a good hike. You can hike through your local park or take a short trip to a natural area for a good hike. There are so many available hiking trails within an hour or two from most city centers, that you might even be able to take a different trail for every week of your summer. Canoeing. 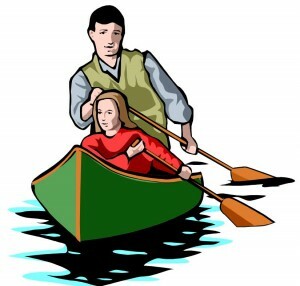 America is full of rivers and with these rivers comes canoeing outfits – or rafting. A canoe trip down a lazy river with a picnic in the middle is an ideal summery thing to do. You’ll have to do some research before you go, make sure you’re not going to start out on a gentle river and end up in some scary rapids, or scout out some outfitters that can point you to the perfect trip. Ride the Train. This seems in conflict with the above ideas, but if you live in a more urban area you might think about taking a train ride. There is some controversy about how much trains pollute, but it depends on the train and overall they pollute less than your car does. Plus, they won’t be hauling just you and your family. The idea here is discovering a brand new destination and explore on foot. You might even take the train to a completely new area in the next state. 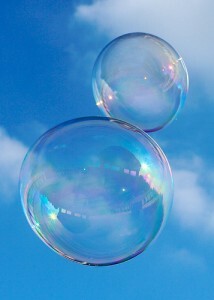 This article was written by Eric Rea of ericrea.com expressly for Tiny Green Mom. A BIG thanks to Eric for this timely article! Here’s a recipe the entire family can enjoy for breakfast from Organically Raised: Conscious Cooking for Babies and Toddlers. It makes 2-3 servings, so definitely double the recipe if you have a large family or big eaters! 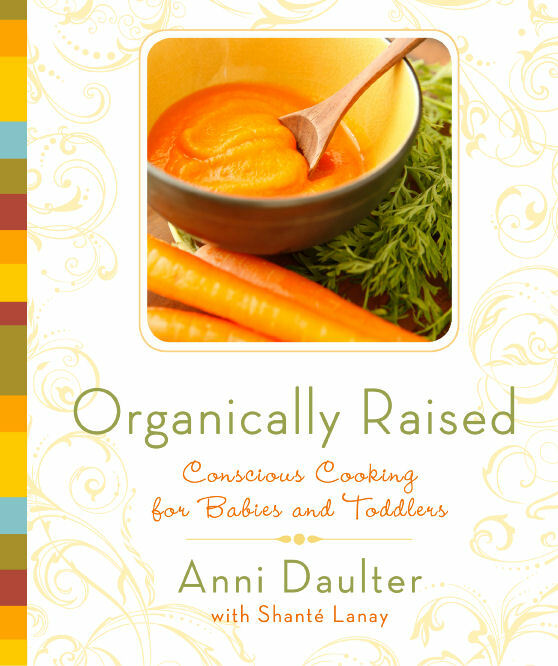 Thanks to a wonderful week of tasty recipes from Anni Daulter, author of Organically Raised: Conscious Cooking for Babies and Toddlers! Crack the eggs in a bowl and whisk together. Whick in the milk. Add the feta cheese; set aside. Chop the basil finely. Dice the tomato halves. Add the basil and tomatoes to the egg mixture. Melt the butter in a heated skillet. Pour in the egg mixture and start stirring to scramble the eggs. Add the salt, pepper, and garlic salt to taste. When the eggs are fully cooked, remove them from the skillet. Serve warm with your choice of toast or a bagel and chopped fruit.